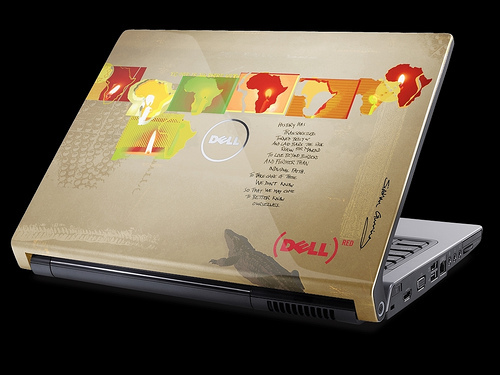 WhiteAfrican tells us about Dell's new laptop designs inspired by African artists, here's a snippet on the one shown above: Shine Within (map): Award-winning artist Siobhan Gunning was born in Mombasa, East Africa and has had the opportunity to visit many of the unique locations in Africa, like the Great Rift Valley, the Serengeti Plains, the Ngoro Ngoro Crater, and even traveling up the Nile to its source. During these travels she has been privileged to observe wildlife in their native habitat and visit with tribes like the Masai and Samburu. Currently residing in KwaZulu-Natal, South Africa, Gunning combines her passion for Africa with her life experiences and her love of art, design and photography, creating digital collages that often result in "happy accidents" that bring her joy.